More Americans are in favor of gay marriage, and more place the importance of gun owner rights above gun control, according to a new Pew Research Center poll. While support for gay marriage and gun owners is on the rise, that increase is one that bodes well for opposite ends of the political spectrum, providing mixed signals to those still complacent with the established social standards of the past decade and beyond. I emphasized the part that I find interesting. So why do these positions have to occupy opposite ends of the political spectrum? Is it impossible to hold both opinions without being one or the other? I would think that if one approaches life from the position of maximum liberty and minimum restraint that one might favor both positions. I certainly do (in actuality I favor getting government out of both areas of interest). When I read about this incident yesterday I was wondering what the heck is going on up there in North Keller. This morning’s story update helped answer that when the fact that both parties had been drinking was added. KELLER—A 38-year-old man begged his neighbor not to shoot him a second time early Sunday after the two argued over a barking dog, police said Monday. The shooter didn’t, but he said, “Get off my … property,” to another person who tried to help the wounded victim, police said. Police identified the suspect as Edward M. Stewart of Keller who was free Monday after posting bail Sunday night. Stewart, 49, was arraigned late Sunday on a charge of attempted murder, two counts of aggravated assault with a deadly weapon and one charge of deadly conduct. The 38-year-old neighbor remained in a Fort Worth hospital Monday suffering from a gunshot wound to the stomach. Along with his neighbor, Stewart accidently wounded his own wife during the incident, police said. The shooting happened at about 12:34 a.m. Sunday in the 1300 block of Robin Court after Stewart and the victim had been arguing through a fence about the dog. According to police reports, the victim was having a fantasy football party and the dog had been barking. Stewart and the victim were both intoxicated, according to police reports. The two pushed each other for a few minutes, police said Monday. At one point, Stewart’s wife tried to stop it, police said. Within minutes, Stewart is accused of pulling out a revolver and shooting his neighbor in the abdomen, police said. The bullet went through the man and lodged in the leg of the Stewart’s wife, who was trying to stop the argument, police said. Stewart’s wife was treated and released from a local hospital a few hours after the shooting. Police had no record of responding to calls between the neighbors before Sunday. Most of my neighbors also have dogs, and those dogs bark a lot, but fortunately they don’t do it too much at night. Malcolm is also a prodigious barker, and if left to his own devices will bark for hours. So I make sure to bring him in if he’s having a barking fit. Heck, it annoys me, and he’s my dog. It’s going to be interesting to watch this case to see how it unfolds. There may be a chance the shooter can claim self-defense. But given that both of these kuckleheads were drinking and fighting, it makes things more murky (i.e. depending on what was said by the shooter, the shootee might be able to claim mutual combat). I suppose it will depend on who tells the best story to the grand jury. But regardless of the court outcome, I suspect that one or the other of them will probably have to end up moving. Shooting your neighbor / being shot by your neighbor, doesn’t exactly make for warm-and-fuzzy future relations. – What was the victim doing with a gun? Was he some kind of criminal? The latest incident can be seen in the comments at Beyond Right Field concerning this incident. An 18-year-old Fort Worth man killed Tuesday afternoon inside a north Fort Worth apartment had apparently forced his way inside, armed with an aluminum bat, when he was shot by one of the apartment’s residents, investigators said. Derek Splawn, a student in the Keller school district, had been upset with the apartment’s 18-year-old resident and had reportedly threatened in an earlier telephone conversation “that he was tired of this and he was going to come over there,” homicide Detective Curt Brannan said. Around 4 p.m. Tuesday, police said, Splawn made good on his word and had a friend drive him to the Watercolor apartments in the 8600 block of Spring Tree Lane, near Beach Street and North Tarrant Parkway. As the friend waited in the car, Brannan said, Splawn first pounded on the apartment’s patio door, shouting for the 18-year-old resident to come out, before beating on the apartment’s front door. Though the resident did not emerge, Brannan said, Splawn was able to force his way inside the apartment after the resident’s roommate opened the front door to peek out and saw Splawn standing there with the bat. “Before he could get the door shut, the man [Splawn] pushed the door open and had taken several steps inside the doorway in the direction of the [18-year-old],” Brannan said. Brannan said the 18-year-old, in turn, picked up a shotgun he kept in the home and fired once, striking Splawn in the face. Provided the facts are as stated, this seems pretty open-and-shut. A hothead attempts to attack a rival with a deadly weapon and is killed in the act. I will grant that the media often gets a lot wrong, but most of the article seems to be direct quotes from the Detective working the case. So, unless and until someone can present credible evidence that something in the above is materially incorrect, I will go with the assumption that the facts as given are correct. I dont care what you say you cannot justify shooting someone in the face with a shotgun because he had a bat. Mabey you could call it self-defence if he shot him in the leg. But no,Hes just needed an excuse to kill derek. but now no justice is coming and thats the hardest part about it. My first thought is that I wouldn’t be stupid enough to take on someone who had a gun if I had a baseball bat and I am certainly not going to be bursting into anyone’s apartment anytime soon. Finally, shooting people in the leg is what people do in stupid movies. In real life you shoot to stop the threat. It finally dawned on me, though (after I responded that I most certainly could justify the shooting) that this commenter really doesn’t grok the idea that a baseball bat can be a deadly weapon and that you have the right to use deadly force to defend yourself against someone with a bat. It’s almost like he’s looking for some kind of “fair fight,” which would be stupid beyond belief. Am I supposed to just stand there and let someone hit me with a bat because a gun is supposedly unfair or something? Deadly force is deadly force, and a baseball bat can certainly constitute deadly force in some circumstances. But it’s sometimes difficult for me to remember that your average person hasn’t contemplated these sorts of things, and that goes especially so for your average teenager. However, it’s exactly the sort of thing that you must confront if you choose to carry a gun or to keep one at home for defense. You must have a passing familiarity with the law on deadly force as well as an understanding of what “deadly force” means. I’m not a lawyer, so don’t take this as legal advice, but a quick reading of the above two links to the Penal Code indicates to me that I don’t have to let the attacker get a hit in, nor do I have to worry too much about the instrumentality he or she is using provided that I reasonably believe that it’s capable of inflicting death or great bodily injury on me and that the person is intending to do so right now. It occurs to me that while it was designed around knives, the lessons learned from the Tueller Drill would seem appropriate to someone armed with a bat as well. Perhaps even more so, because I would fear that one hit from an aluminum bat could leave me unconscious and at the mercy of the attacker, while I might be able to still respond after the first knife thrust. I suppose this all might seem a bit blood-thirsty or dark to someone who hasn’t considered the topic much before. But the average gun owner is not sitting around cackling with glee at the thought of killing someone. It should be noted that we do not shoot to kill, but to stop a threat. If the perpetrator dies as a result, the fault lies with the perpetrator for initiating deadly force against us. The following letter to the editor appeared in the Fort Worth Star-Telegram on Tuesday. I’ve been wanting to tear into it, but I haven’t had time until today. 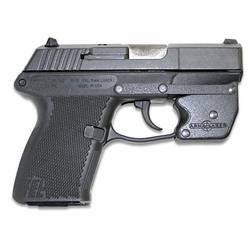 College students have shown such amazing maturity with respect to alcohol, frat rituals and spring break (just visit Cancun in March and see for yourselves), that it seems only obvious we should throw concealed handguns into the mix. Most of our Texas colleges and universities are too good and too safe to suffer this foolishness! While Mr. Schriber’s PSH-laden missive would have us conjure up the old Animal House image of college students as a bunch of drunken frat boys, it helps to remember that people who are licensed to carry concealed are adults over the age of 21 who have clean criminal backgrounds and are perhaps the most law-abiding segment of society that you will find. The idea that someone with a CHL will get drunk and shoot up the campus is ridiculous on its face. Responsible adults with a CHL simply aren’t going to be doing this. 15 “Right-to-Carry” states leave the decision of concealed carry on college campuses entirely to each college/university. A person with a license/permit who was caught carrying a firearm on a college campus could not be held criminally liable but students and employees of a university would be expelled or have their employment terminated. These states are Alaska, Colorado, Idaho, Indiana, Kansas, Kentucky, Minnesota, Missouri, Montana, Oregon, Pennsylvania, South Dakota, Virginia, Washington, and West Virginia. Though these states contain a few colleges/universities, such as Colorado State University (Fort Collins, CO) and Blue Ridge Community College (Weyers Cave, VA), that allow concealed carry on campus, most prohibit it. Utah is the only state to allow concealed carry at all public colleges/universities, by prohibiting public colleges/universities from creating their own restrictions. Of course, this seems par for the course with this kind of blood-will-run-in-the-streets hysteria. Everywhere that expansion of the right to carry is proposed someone can be relied upon to come out of the woodwork (much like the cuckoo in a cuckoo-clock) to claim that their state will become the OK Corral, completely ignoring the experience of the other states that have already done so. Aside from this letter I also heard a comment from a member of some anti-gun group claiming that our Texas universities are already very safe and that most crime occurs off-campus. This may be true, but it ignores the fact that a lot of crime occurs when law-abiding adult students are going to-and-from campus and are legally required to be disarmed because of the law against carrying on school premises. While the new law itself won’t stop all crime, it is a good start towards making our campuses safer against both mass-murderers and on-and-near-campus rapists. It’s always good to remember that wherever the law bans guns, it just means that only the victims will be disarmed. Bad guys don’t give a damn about any silly laws. I was looking forward to going to Phoenix this year for the NRA Annual Meeting and the Second Amendment Blog Bash. However, I’ve decided that I’m not going to go. First, there’s the amount of time away from work. I don’t want to fly and driving adds two extra days each way (it’s just over 1000 miles from here to Phoenix, and I just don’t have the stamina to drive that far in one sitting anymore). Since my sister is moving back to Colorado from Alaska in June, I was planning on visiting her in July. I can take the vacation time I would have used in May and use it for the Colorado trip. Second, there’s the cost. My rough estimate is that the total cost of this trip would be around $1000 by the time I was done with everything (gas, hotels, food, etc). Somehow I’m having trouble coming to terms with spending that much money on a trip in the current economy. So, I’ve decided to stay, but to help the 2A cause, I will donate part of the money I would have spent on the trip to NRA-ILA and NRA-PVF. The rest will be spent on additional ammo to maintain stocks in my ammo closet. I will receive my yearly bonus later this month. When it comes, I will send $250 each to NRA-ILA and NRA-PVF and set aside another $500 for ammo. To me this is a more useful way to spend $1000 so that it promotes the Second Amendment rather than spending it on gas and hotels. I’ll still miss going, but I can always go another year when the meeting is closer to home. I just sent out an email via my gun show announcement list** that there have been updates to the DFW Gun Show list that I maintain. I added new show dates for High Caliber Shows in the first half of 2009. I also added an entirely new show called the Big “D” Gun Show @ Mesquite Rodeo. It is being run by the promoters of the Original Fort Worth Gun Show, and it will be held on January 24-25, 2009 at the Mesquite Rodeo Exhibition Center. On the technical side of things, I upgraded the site to the latest version of Expression Engine (which affects this site as well), and added an RSS Atom feed. This will allow people to use their RSS readers or the “Live Bookmarks” feature of Firefox to keep track of changes to the site. I couldn’t help but notice a recent flare up in the long-running rancorous dispute between the adherents of the pistol design of Gaston Glock and that of John Moses Browning. As someone who has owned, shot, and carried both designs, I really don’t get where all the acrimony comes from. Live and let live, I say, and let each carry what he or she feels most comfortable with. Isn’t there room enough in our safes for both? I just received the most recent Cheaper Than Dirt catalog and couldn’t help but notice that they are carrying the ArmaLaser line of laser sights for Kel-Tec pistols. Not to disparage Kel-Tec, but the idea of adding a $159 laser to a $300 pistol seems a little like overkill to me. I have a P11 and it has a (DAO) trigger pull somewhere in the vicinity of 9 lbs. I find that my hands start to shake just before the trigger breaks because of the force I have to apply. It took a lot of practice for me to make peace with the trigger and get to the point where it was useful beyond 3-5 yards. The last thing I want is to try to follow the laser as it does a jig on the target. 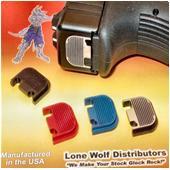 I also saw that they were selling Lone Wolf Dist slide cover plate replacements in various colors. In particular, though, I think the blue one is a bad idea. Generally, blue is supposed to indicate a non-firing (or other “safe”) training replica (or at least that’s how I’ve always seen it used). Now I realize that this is only one small part of the gun, but it seems to cross a line in my mind that shouldn’t be crossed. It seems to me to that it could possibly lead to unnecessary confusion.